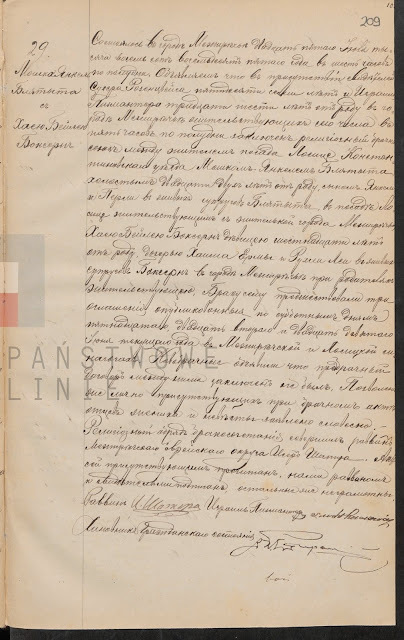 It is supposed to be the marriage record of a Moszko Yankel Blatyta and Chaia Beila Boksern - 1885 - that's the only information in the archive's index, and I can't read the Polish Russian. [I'm unable to even find the names on the document, so there is a possibility there is a mistake and the link on the website goes to the wrong image.] 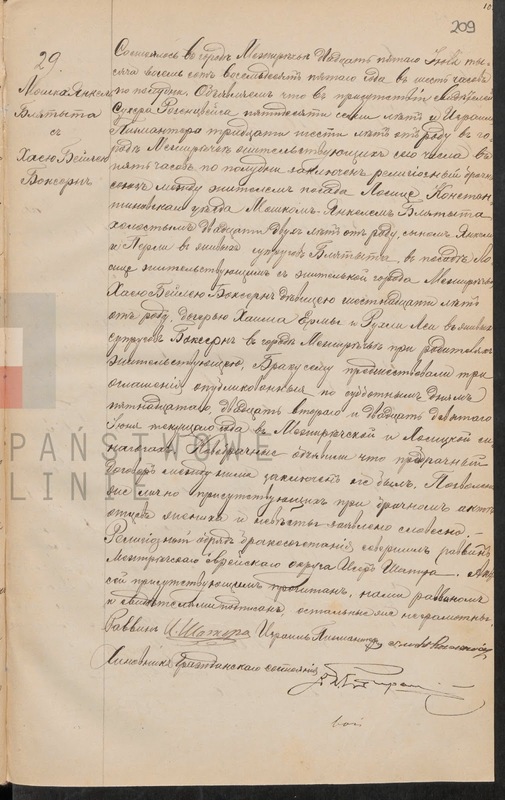 I hope to find someone who can translate the document for me. I believe this to be the marriage record of my second great grandparents Morris and Beila Blatt. Family lore suggests Chaia Beila had a prior marriage, and her maiden name was Wyman. Moshe Blatt son of Jacob - Who did he marry?